Propulsion: Three oil-fired Heine boilers, one 2,500shp General Electric steam turbine, one shaft. Dictionary of American Naval Fighting Ships: Ozaukee (No. 3439), built in 1918 at the Long Beach Shipbuilding Co., Long Beach, California, was acquired by the Navy on a bare boat basis from the U.S. 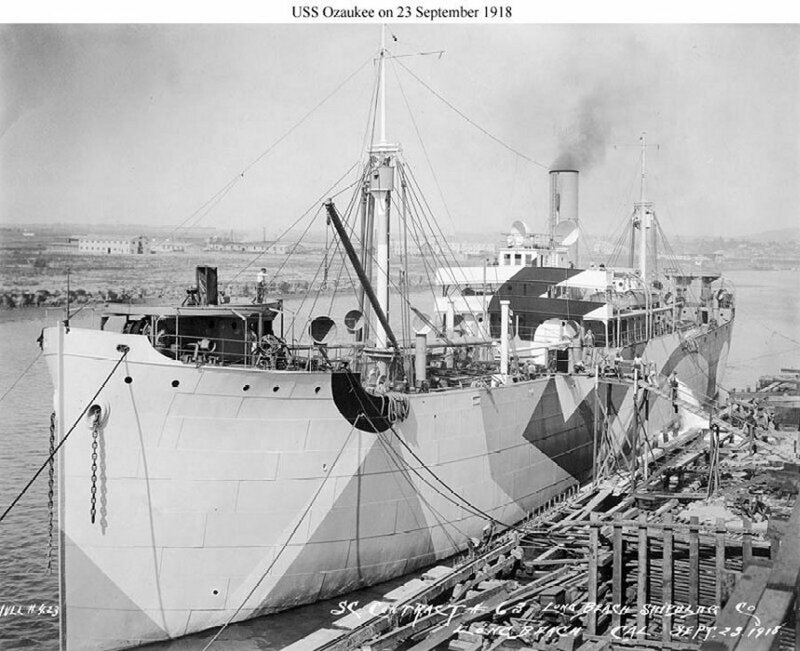 Shipping Board and commissioned at San Pedro 30 September 1918, Lt. Comdr. T. [Thomas] F. Shipsey, USNRF, in command. Fitted out for the Naval Overseas Transportation Service, the cargo ship Ozaukee sailed from the west coast, 9 October bound for Chile. At Arica she took on nitrates and steamed via the Panama Canal, to Jacksonville, Florida, arriving 7 December. At the end of January 1919 she departed Philadelphia and crossed the Atlantic to deliver oil and tobacco to the United Kingdom. On 15 March she returned to Philadelphia, where she was decommissioned and returned to the Shipping Board 3 April 1919.